Darin is a registered patent attorney who helps his clients to procure, develop, license and manage intellectual property. Darin also has substantial experience litigating patent infringement actions. He has represented clients involved in a wide variety of industries and across a diverse spectrum of technologies, including medical devices, network security, network routing, mobile wireless systems, software, energy and aerospace systems. Darin develops patent portfolio programs based on internal invention programs and external development programs. 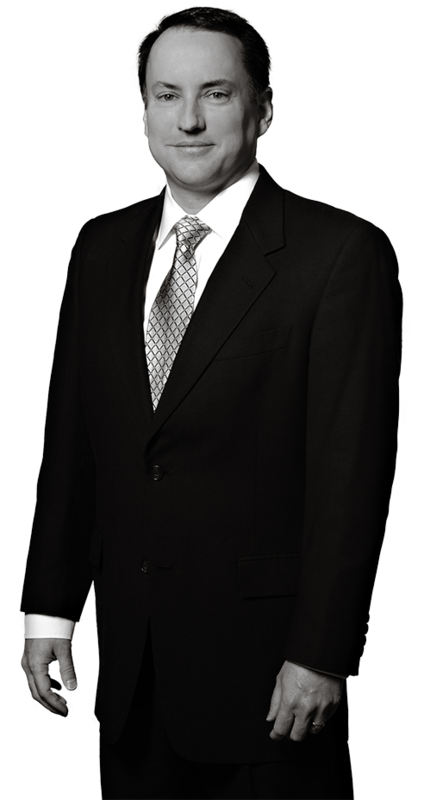 In addition to patent preparation and prosecution, Darin provides patent infringement and validity opinions, as well as audits and executes valuations of intellectual property portfolios for technology licensing and transfer transactions. In addition, Darin advises emerging technology companies on the challenges regarding the strategic creation, exploitation and management of intellectual property assets. Darin is particularly adept at reading between the lines when working with patent examiners and in maximizing value for his clients. His common sense approach to intellectual property law and practice and his direct communication style allows him to anticipate obstacles and provide resolutions. Darin is particularly valued by in-house counsel in large domestic and international companies because he gives them what they need to succeed both internally and externally. Before attending law school, Darin served as a Structural Dynamics Engineer at Boeing, where he worked on the Mir and International Space Station programs. Darin also worked as a Senior Guidance & Navigation Engineer at Lockheed Martin, where he worked on the PAC-3 missile system.